These instructions are for new installs of Nexus 4.10 and later only. Please log in to myFreschesolutions.com to access the User Guide. Please note that 4.5 and up require a minimum IBM i OS of V6R1. 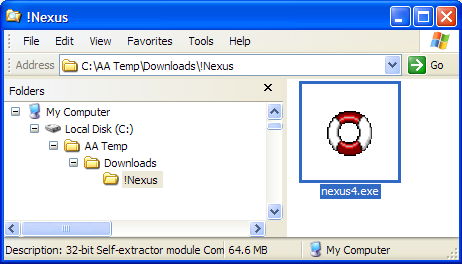 If you haven't yet downloaded the Nexus install file to your PC, do that now. Then return to this page. If you have already downloaded the install file you can continue with Step 2. The actual file name may change as different releases of the software are made available.